One of the most popular national parks in South Korea is Seoraksan. You can find it next to the small fishing town Seokcho. Getting to Seoraksan from Seoul is easy – even if you don’t have a car. So without further ado, here are the best things to do and see in Seoraksan National Park. 1 Where is Mount Seoraksan? 2 How Untouched Is Seoraksan Park? 8 Is Hiking Seoraksan Worth it? It might look far away from Seoul but Mount Seoraksan is only a three hour drive away, straight to the East. The fishing city Sokcho of Gangwon Province sits right next to it at the Japanese Sea. 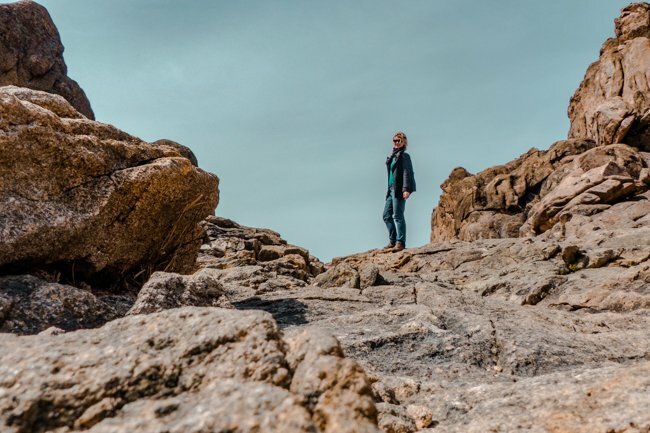 From Sokcho, you can easily get to the main entrance of Seoraksan National Park, which is where most tourists spend their hiking day trip from Seoul. Mount Seoraksan is part of the Taebaek mountain range. With its 1,708 meters (5,603 feet), it is the highest peak of the Korean national park and the third highest in all of Korea. Seoraksan National Park itself was declared a National Natural in 1970 and has also been registered as a UNESCO biosphere reserve. Since the mountain is so vast, it is usually divided into three parts: ‘Inner Seorak’, ‘Outer Seorak’, and ‘Southern Seorak’. How Untouched Is Seoraksan Park? Seoraksan National Park in South Korea is incredibly stunning. Valleys, high rising mountains, rivers and Buddhist temples make for the most beautiful scenery. However, one thing you need to be aware of is that Seoraksan Park is a major national tourist magnet. As such, it has been “adjusted” to cater to tourists who are not all that interested in hiking Seoraksan. At the entrance to Seoraksan National Park you will find a big parking lot and right after a long stretch of paved way past souvenir and food stalls, leading up to the gondola. Well, at least you can don’t necessarily have to bring water and snacks with you. And there are good toilet facilities. Once you leave the park entrance, the trails begin and some of them are also well paved. Walking towards the temple, there is no need to prepare for rough walking, it’s all very neatly laid out. Once you get deeper into Seoraksan Park, however, things change quickly and you have to walk up boulders and uneven surfaces. That’s where the actual fun begins! All paths are well marked and for tricky areas, there are roped railings. Since the park is protected, you are not allowed to bathe in the rivers, pools or waterfalls. Also picking flowers or taking stones isn’t allowed. Basically, you leave everything as you found it. This includes taking your litter back with you! 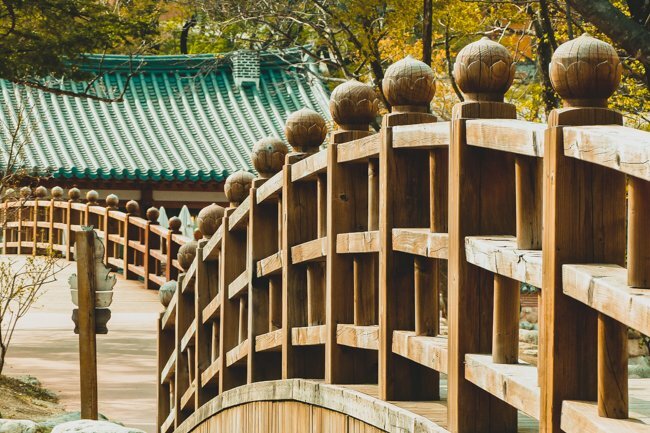 Depending on your preferred level of (not so) challenging hikes and whether you want to make it a day trip from Seoul or stay overnight, there are various options. Whatever you choose to do, get a map at the tourist information. Peak season officially runs from May to the end of November. Using the campsites costs ₩2,000 per adult and night and shelters cost ₩7,000 (off season) or ₩8,000 (peak season). You can check more detailed price listings here and locations for facilities and information centers here. Get your free hiking map at the information centres or check out the map here – as part of Roamscape’s diary of hiking Seoraksan overnight. Generally, for short hikes and if you are only here for a day, it’s best to take a guided tour. This way you can see as much as possible, get interesting background info (such a tales of dragons) and get to spend time with fellow travellers. 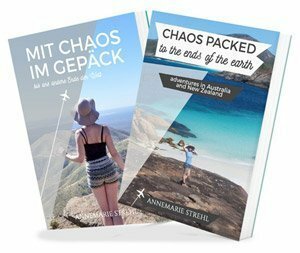 Especially as a solo traveller this is great to share experiences. This way you won’t get lonely and you might even get more recommendations for other things to do in the area. Should you not want to bother with hiking at all, stroll towards the Seorak Sogongwon Cable Car (설악 케이블카) and take it up Gwongeumseong. There is a viewing platform, souvenir shop and restaurant at the top. For the absolute best views, walk a little upwards to a higher vantage point (follow the crowds). 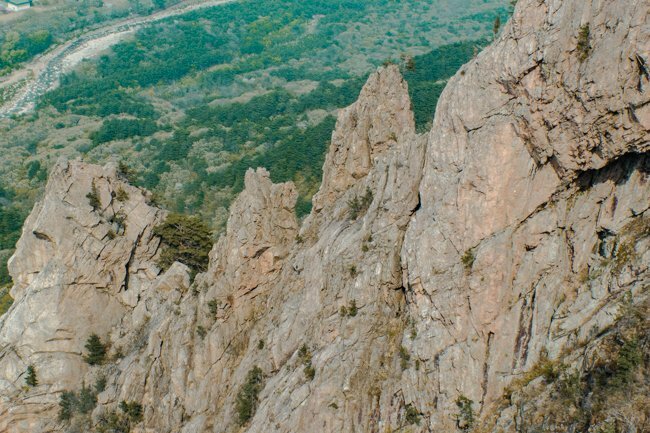 From here, follow the trails for half an hour up to Bonghwadae and then gaze over the marvellous Gwongeumseong region and over to Ulsanbawi Rock. On a clear day, you can see Sokcho well in the distance. You can stop by a small and exceedingly colourful mountain temple as well. The cable car runs every season, even in rain or snow, if the winds aren’t too strong. A round trip costs ₩10,000 and takes only five minutes to reach the top. According to local legend, Gwongeumseong isn’t an entirely natural phenomenon but was built by two locals. 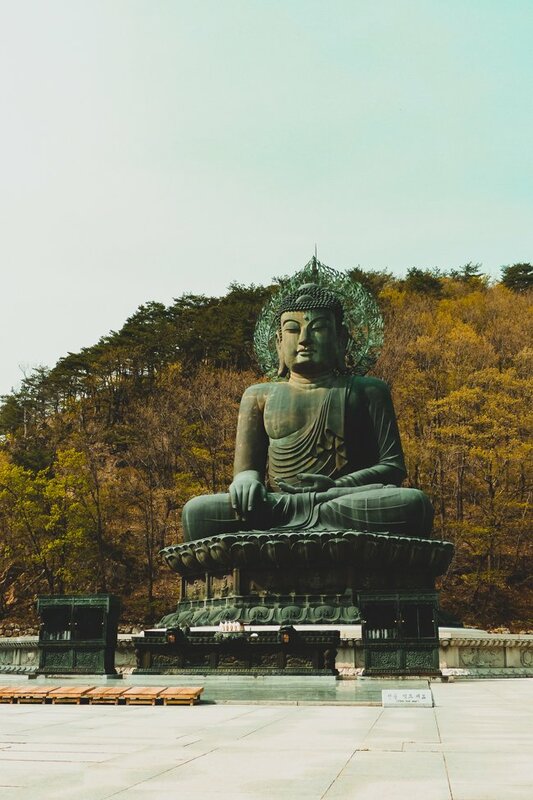 They thought that there wasn’t much to defend them during the war and so they alternated between pushing up stones from the valley up the mountain until they created the Mountain Fortress, which is another name for Gwongeumseong. 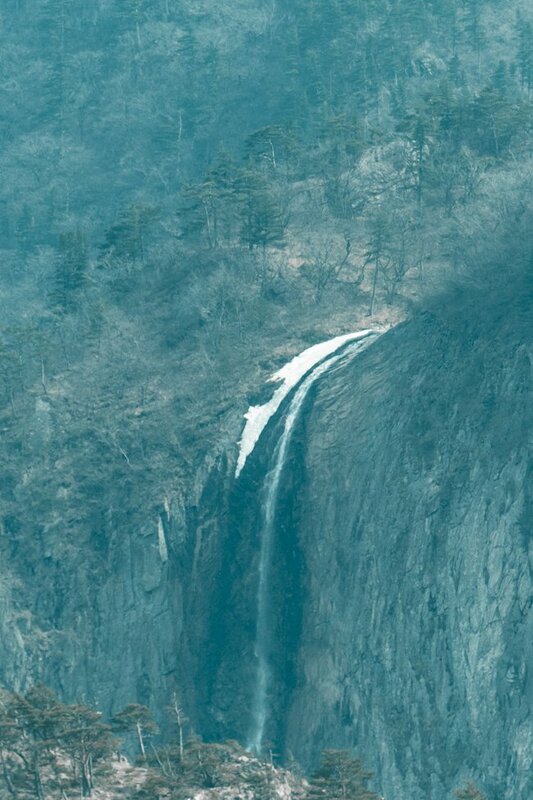 One of the easiest Seoraksan hiking routes and with low difficulty is the course to the Biryong Falls. It only takes 50 minutes and is 2.4km long. The name Biryong stands for “flying dragon” because the story goes that a dragon had blocked the waterfall entrance, causing a drought. It was only after a maiden was sacrificed that he flew away. Check the route map here. Similar to the Biryong Falls Course, Yongso Falls aren’t very far away from the Information Centre (Yaksuteo, Southern Seoraksan) and can be easily reached. The pleasant hike follows the Domachigyegok Valley, where you can also cross the Sampalgyo Bridge. The best feature are of course the Yongso Falls and Yongso Pond themselves with the clear blue colour. The water is icy cold all year. This course is good if you have a car and can get to Osaek Ranger Station in South Seoraksan. The 5.3km path (approximately a little over 3 hours) has low difficulty. Even though it is steeper than many other courses, it’s the fastest way to Daecheongbong Peak. If you are a photographer, this trail may disappoint you as the Seorak Pokpo Falls are the only real highlight along the way. Check the trail map here. 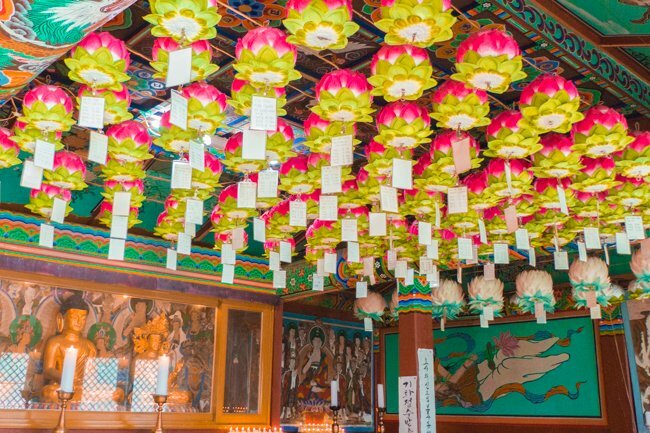 Only a ten minute walk from the Seoraksan Visitor Centre later you will find Sinheungsa Temple (신흥사(설악산)). 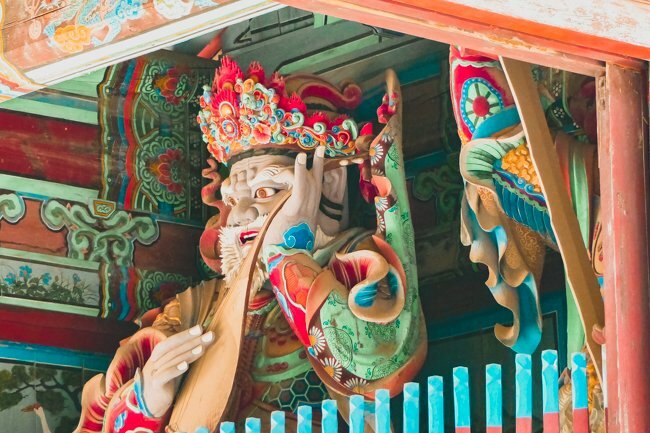 The temple was built by the nomadic Jajangyulsa in the 7th century who travelled all kinds of mountains in Korea. Features of the temple are the giant bronze Buddha statue, various other statues and a stone pagoda. If you want to you can also partake in templestay or retreats. Entry is ₩3,500. Keep following the temple wall to reach Naewonam Hermitage. From there, you make your way towards the famous Ulsan Rock. It’s actually not just one rock, but six steep peaks. They are super difficult to climb but look amazing even from afar. 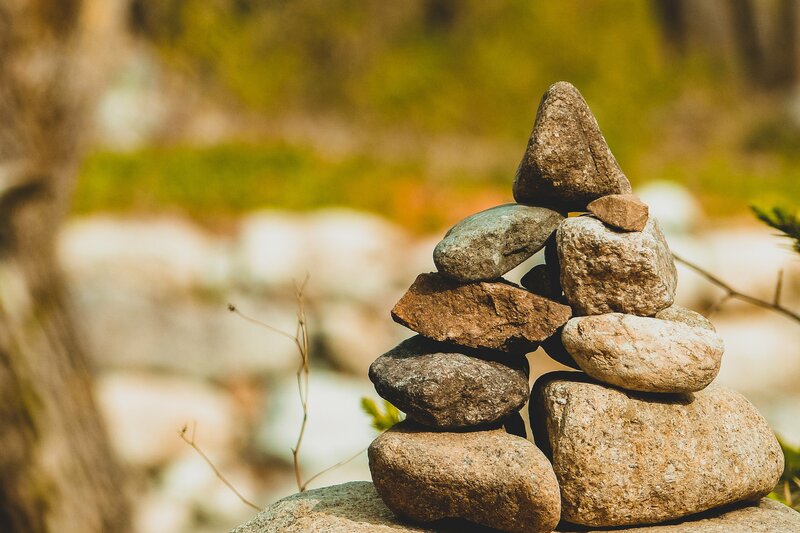 Along the trail, you may see Heundeulbawi (흔들바위), a funny boulder that you can push but that never tumbles. Also starting from the main visitor centre of Mt Seoraksan National Park, this one has some of the most scenic spots. Along the 6km stretch (~4 hours) you will see Iljumun Gate and Biseondae, from where immortal spirits depart. 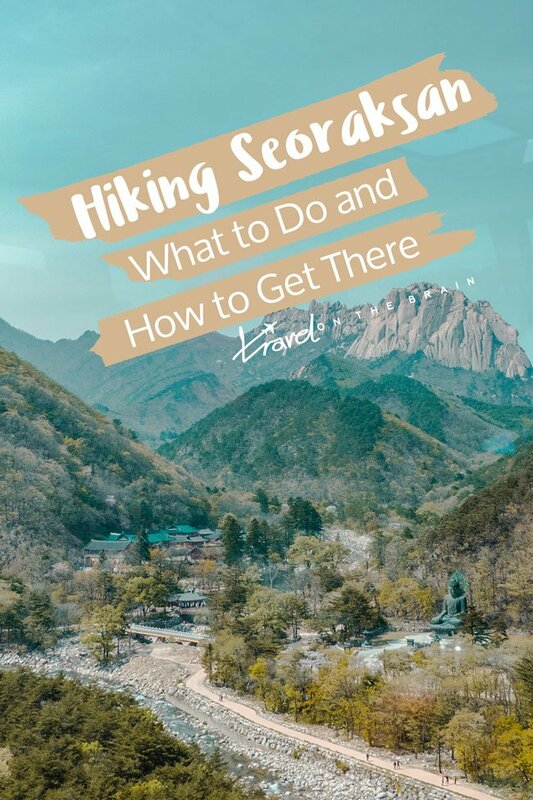 From Biseondae you can pick either of the two Seoraksan hiking trails up to the peak (they have different difficulty levels). Choose the one following the river to reach Yangpok Shelter and Yangpokpo Falls. Along the trail you will also see Oryeon Falls. Have a look at the trail map here. The start for this Seoraksan hiking trail is similar to the Yangpok Course. Follow the route until Biseondae and then turn towards Geumganggul Cave. The cave itself was used as a place of worship in the past, which you can tell from the sitting Buddha statue within. Getting to the Geumganggul Cave, you have to walk up steep steps and cross a few bridges. After all, it sits 600m above sea level. The entire hike takes roughly two hours (it’s 3.6km). Daecheongbong Peak (Hangyeryeong): Like stated above, there are various ways to reach Daecheongbong Peak. This Seoraksan hiking course takes half a day (12h, 19.3km) and starts at Hangyeryeong Hiking Support Center. From there, you head straight up to Daecheongbong Peak and rest overnight at Heeungak Shelter. From here, it’s back to Biseondae and Sogongwon Information Centre. Daecheongbong Peak (Seorakdong): Again, from the main tourist information centre (Sogongwon), you take the trail to Biseondae and rest at Heeungak Shelter. 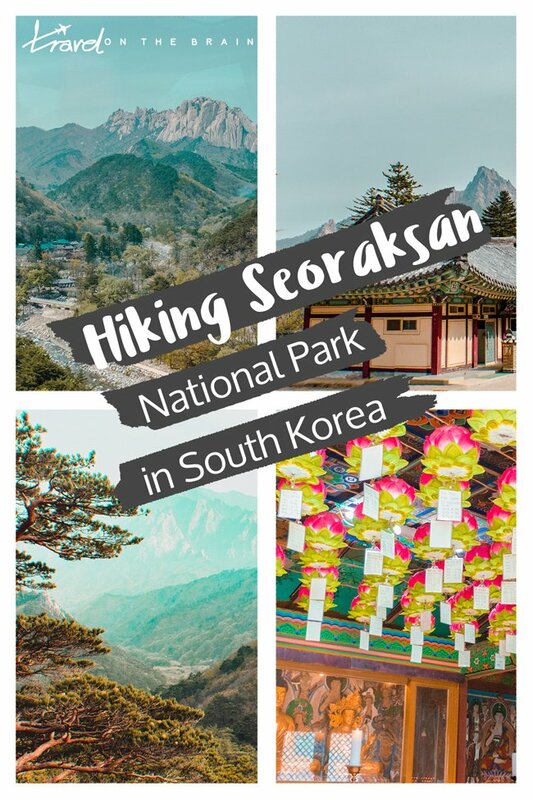 On your second day you can make it all the way to the peak and then breathe in the fresh air at the Seorak Falls before ending the trail at Osaek. There are local hot springs there, so you can relax your sore muscles. The entire trail is 16km and takes nearly 11 hours. Gongnyong ridge: This is basically the same path as the one above, only a little longer. At Biseondae, you take the path towards Madeungnyeong Intersection. This way, the entire hike takes nearly 15 hours as it’s now 19.1 km. By car – A drive to Seoraksan National Park from Seoul takes between two and three hours and you just have to drive all the way to the East coast. Sokcho should be your goal and from there you can make your way towards the mountains. There are signs to your destination. However, better use your navigation app, such as Google Maps or Maps.me to be extra sure you are reading the Korean signs correctly. Check current parking fees here. By train – There are no direct trains to Sokcho. You would need to change into an intercity bus anyway. By bus – From Seoul’s bus station just a little south of the river, near the rainbow bridge, you can catch daily buses from Seoul to Seoraksan. Communicating in English proved to be tricky the last time I visited, so have your destination ready in Korean. Even better is it if you already know your preferred departure time and price. You can check online. From Seoul to Sokcho it takes 2.5 hours and a one way trip costs around ₩17,300. Remember the time for the last bus of the day so you won’t get stuck! Local busses 7 and 7-1 are frequently going back and forth between between Sokcho and Seoraksan National Park. You will be dropped off at the parking lot and park entrance. Local buses cost ₩1,100 one way and take 40 minutes. 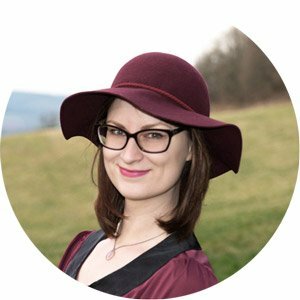 With a tour – If you travel solo and can’t be bothered to figure out the bus schedules (and try to communicate what you want to the bus station customer service – it’s a struggle! ), get a day tour from Seoul. There are tours that include a return ticket, tickets to the park and temple as well as an English speaking guide so you won’t get lost. 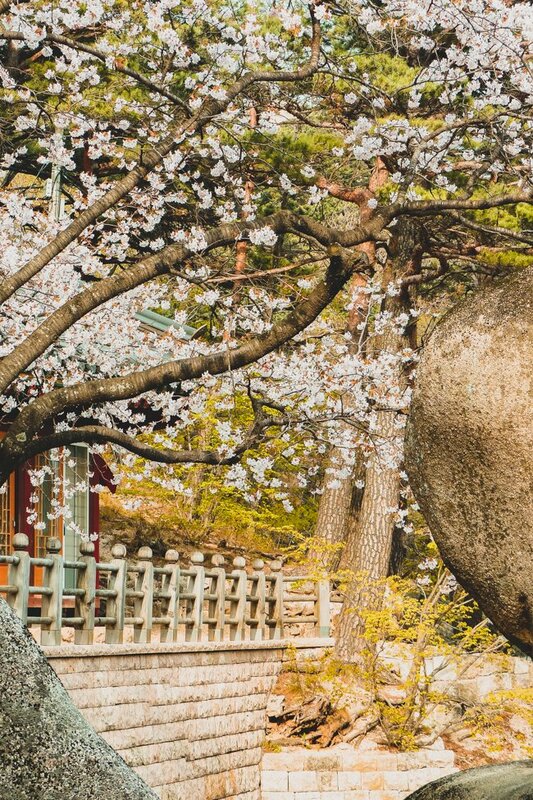 You can book it here or combine your day trip with a tour to Nami island, a popular K movie spot. Meals aren’t included so bring snacks. Mount Seoraksan boasts pleasant inland, marine climate. In winter, temperatures can be as low as -15°C and as “high” as -1°C. Spring can be chilly, with temperatures not above 10°C. Summers are cool with typically the highest temperature only being 17°C in August. There really isn’t “the best time to visit Seoraksan” because every season has its special charm. I visited in late spring and the green had just started to come out with a few cherry blossoms here and there. To see super green foliage, come in summer. It will be greatly refreshing from the summer heat in the city. For striking autumn foliage with exploding colours, mid to late September is your best bet. It really makes for great contrasts with the icy blue waters of the streams and waterfalls – especially if you are into travel photography. Please note that when you visit in either spring or autumn, the park might be closed due to weather conditions or forest fire watches. This especially affects the time between March 2 – May 15 and November 1 – December 15. Get up to date information online or via the English hotline +82-2-1330. Hiking Boots – A great hiking boot can make any hike so much better! Which is why I’ve been basically living in my various Lowa hiking boots for the past four years of my travels. (No kidding!) 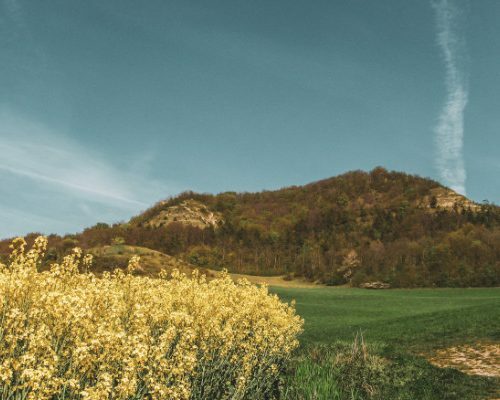 You know, Germans love to hike and therefore we have high quality hiking boots. Whatever you choose to wear, have it be close toed walking sneakers with a good grip at the very least. I’ve seen people in UGG boots. Bad idea! Water bottle with filter – When hiking Seoraksan, you need to stay properly hydrated. So bring your filled up water bottles along. There aren’t many places to refill it, so in case you get really thirsty and your bottles are empty, a solution is the Lifestraw. It’s a portable filter with which you can even drink water from the river! Camera with filter – With all the marvelous views you can have in Seoraksan National Park you shouldn’t miss out on capturing the scenes! Bring your camera along, a simple phone camera just won’t do. For action shots of you hiking, GoPros or cheaper rip off versions, such as Campark or Apeman, are a good item to pack. For DSLR cameras, don’t forget a big SD card to store all your photos and the filter to bring out the sky’s blue against the forest and white mountain. Poncho – If you are hiking Seoraksan in autumn or winter especially, you need to be prepared for sudden weather changes. Rainy days aren’t uncommon and you will want to be prepared from both rain and chilly winds. Let’s be real, umbrellas die easily and are quite impractical. Rather invest in a sturdy rain ponchoto keep dry and warm. Travel insurance – Hiking isn’t the safest thing to do (not just at Seoraksan in Korea) as are most exciting and challenging things in life. One wrong step and you might hurt your ankle if you’re not careful. Let’s not jinx it, chances are nothing will happen if you’re careful. However, there is no way around travel insurance. It backs you up in case of an accident or emergency and if you look into services by WorldNomads, travel luggage, and flight delays are included too. Check current rates here. 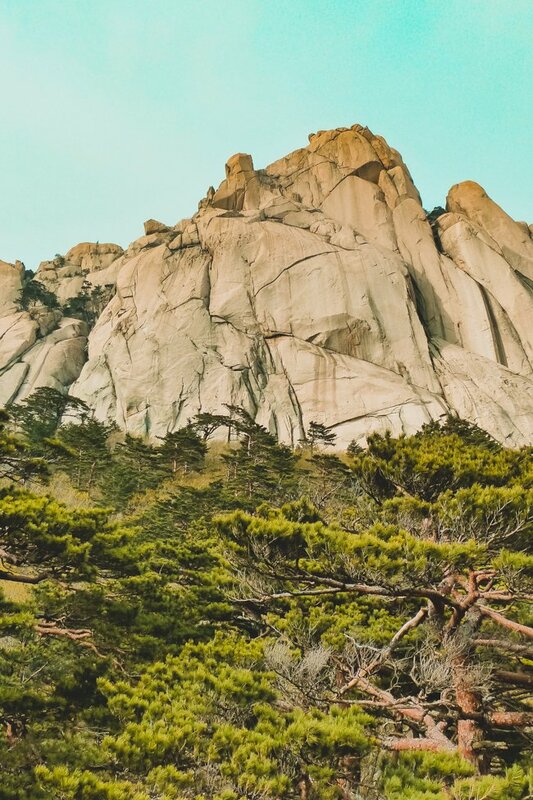 Is Hiking Seoraksan Worth it? Absolutely! Seoraksan National Park in South Korea is rather stunning once you leave the touristy entrance area. There’s nothing charming about paved roads and ice cream stalls. But once you enter the Seoraksan hiking routes, the crowds disappear and nature unfolds. I’d say it makes for the perfect day trip from Seoul to really get away from the crowds and soak up nature. Get up early so you can really make the most of your trip. 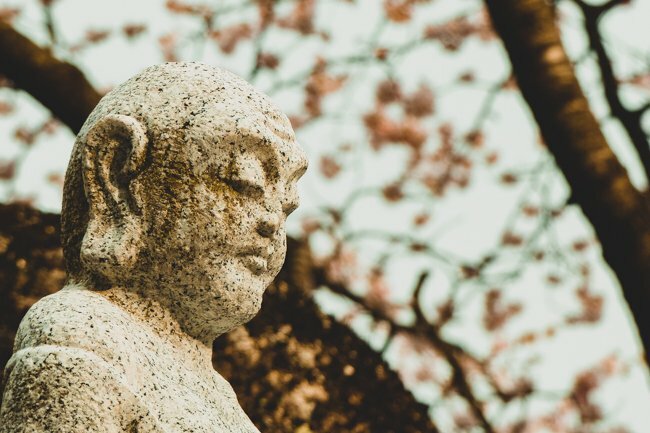 Looks like such a fun hike and that Buddha statue is incredible! So big! 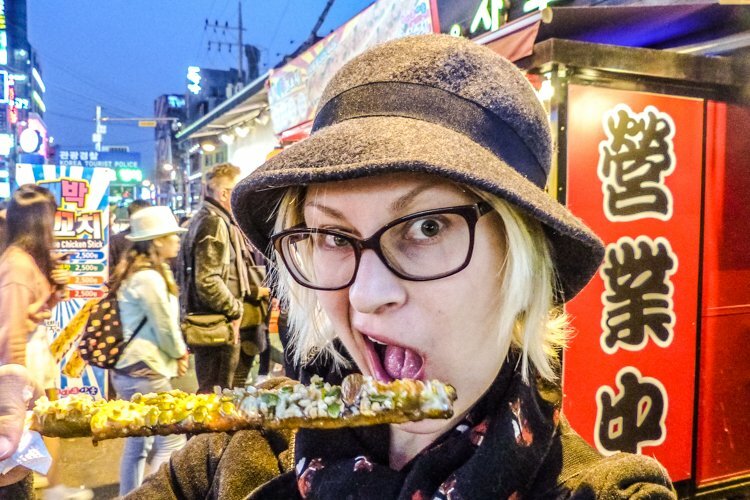 I’m hoping to visit South Korea soon so I’ll be keeping this as a reference, thanks! Hi Natasha, it really was a cool hike. I wish I had started earlier or planned for an overnight stay. The next time I know. This sounds like a perfect place to explore! 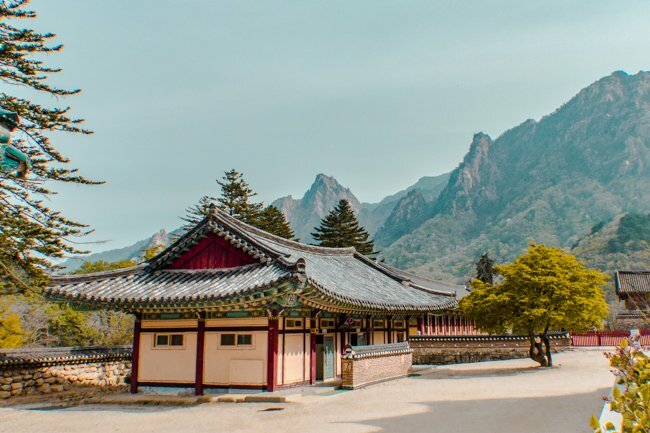 I’ve been wanting to visit Korea for years, and I love hiking, so this sounds like a perfect holiday adventure! I am slightly surprised that Korea’s highest Peak is 1,708m. I’ve seen so many mountainous photos, that I expected it to be even higher! I guess I need to do more research! 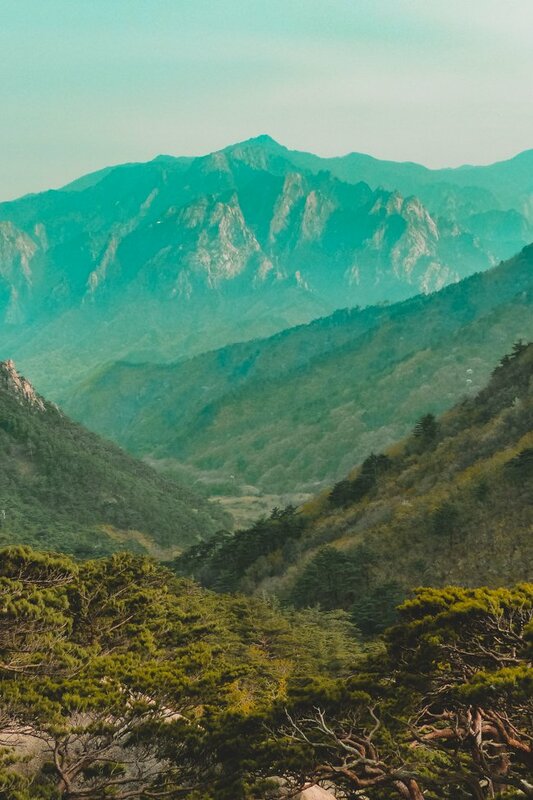 Ah this looks so beautiful, South Korea continues to surprise me as a destination , I love hiking so this would be perfect for me! Thanks for the informative post and wonderful photos- I hadn’t heard of this national park until now! Hi! Thanks for these great ideas! I am visiting South Kore in September and would love to se Seoraksan. As I don’t have a car I am thinking about taking the bus, leave the luggage in Sokcho, take another bus to get to the park and hike for the remaining time of the day. I am a bit worried, this means we will be there with ALL of the other tourists. I actually rather like the less crowded hikes… what would you suggest? Thanks so much! Hi Miri, September is a nice time to visit. I hope you’ll love Korea! You can totally take the bus to Sokcho. Not sure about the luggage, maybe check if there are luggage lockers at the coach station. I don’t recall seeing any and doubt it, actually. It would be good if you had a place to stay there overnight, so that’s taken care of and you don’t have to stress out with timing of getting back while in the national park. Regarding the crowds, if you choose to go hiking and not take the super easy and even walks, then I think you should be fine. When I visited, most people really stayed around the entrance area and didn’t go far at all. The gondola was very popular as well but I only encountered one person on the walk to the mountain temple.